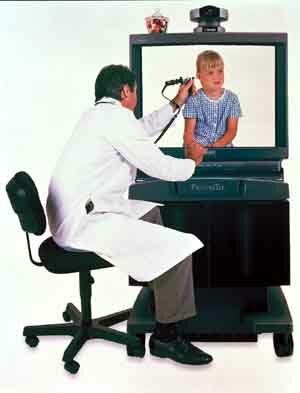 One of the most exciting areas in healthcare is the emergence of new telemedicine technologies. The use of long-distance video and data hookups linking remote community hospitals with specialists in large centers is saving lives. In fact, recent studies have shown that telemedicine can provide the same level of care as having everyone in the same room. Mobility – We are currently experiencing the first phase of pervasive computing, where billions of people will be leveraging trillions of devices and sensors. The surge of smartphones and tablets, combined with the saturation of laptops, is driving a global phenomenon where society is connected all the time, regardless of location. Thousands of new mobility products are emerging such as the connected automobile, refrigerators, glass surfaces right down to WiFi enabled toothbrushes. Hundreds of WiFi enabled medical device categories have also emerged from simple weight scales, blood pressure monitors to more complex remote diagnostic equipment. Ubiquitous Connectivity – One of the main limitations of early telemedicine solutions was the cost/complexity of obtaining quality bandwidth. According to the World Bank, over 75% of the world’s population now has access to cell phones with over 6 billion devices now in use. These cell networks are steadily improving and the majority of them now support seamless video across broadband level speeds. Cloud Computing – The transition of key healthcare applications into the cloud has been growing steadily over the past few years. It got a relatively slow start due to factors such as country specific regulations, fears of patient record security as well as industry demographics. Applications are becoming smarter as more critical information is shared and more accessible as mobility and connectivity are driving more use cases. Demographics – Doctors entering the system now, the so-called “millennials”, were born into the PC generation and have likely carried a mobile phone for over half their lives. In fact, a recent study reported 70% of younger doctors report they use their smartphone clinically. Healthcare will continue the virtual trend as baby boomer doctors retire and new generations of technology inclined doctors take their place. Consumerization – With the growth of consumer devices for self-diagnosis and treatment, combined with the proliferation of personal social networks, a number of potential pitfalls could arise in delivering telemedicine. Imagine diagnosing a patient in 140 characters over Twitter or an impromptu Skype session dealing with sensitive medical issues. While this may seem insecure and ineffective, consumer behavior may demand the health industry explore these mediums. At the speed these new technologies are driving telemedicine, there remains significant barriers to adoption in emergency and critical care units. One major barrier is the regulatory challenges related to the difficulty and cost of obtaining licensure across multiple states, malpractice protection and privileges at multiple facilities. Another barrier is the lack of acceptance and reimbursement by government payers and some commercial insurance carriers creating a major financial barrier, which places the investment burden squarely upon the hospital or healthcare system. 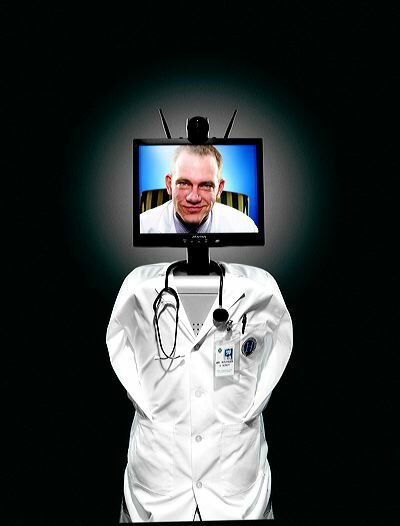 Finally, cultural barriers exist driving a lack of desire of some doctors to adapt clinical paradigms for telemedicine applications. How do Technology Providers take advantage of these trends? The future of healthcare will be very personal and in real-time. Facilities will need to be connected with the latest video, audio and networking technologies to enable specialists to connect with their patients immediately and deliver the quality necessary to improve outcomes. Health professionals will need to be armed with these tools regardless of their location. 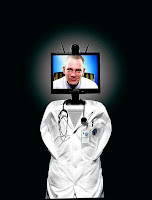 Telemedicine will evolve from point to point connections across facilities to person to person across pervasive devices. The doctor may be in his car while the patient could be out in the middle of a farm field – with other specialists and local emergency response teams all listening in. The opportunities around consulting, integration, technology deployment, remote management, industry compliance management and service will grow significantly over the next 5 years. Understanding industry and technology trends and being able to deliver the services, hardware and software to enable specialized solutions will be the key. Fantastic article Jay on the importance of mobile health care. Thank you for sharing your insights and future predictions. I am proud Cisco has a 20-year proven record of deploying innovative network solutions and best practices that enable physicians, hospitals, clinics, and other healthcare and life science organizations operate more efficiently; while remaining focused on international healthcare initiatives focused on improving access to healthcare information. Cisco is working with healthcare industry leaders, including applications, systems, service providers, device manufacturers, and medical technology vendors to connect the entire healthcare environment to a common information and communications infrastructure. Most importantly, Cisco’s wireless networking products have the exclusive endorsement of the AHA. The AHA represents and serves all types of hospitals, healthcare networks, patients, and communities. AHA members include nearly 5000 hospitals, healthcare systems, networks, and other care providers, as well as 37,000 individuals. As baby boomers age, the healthcare industry is experiencing an increased demand for healthcare services. Due to the growing demand, both the number of inpatient admissions and outpatient visits are increasing. As a result, many facilities are, as you mentioned, facing capacity shortages and therefore must create new approaches to reducing costs, along with innovative and more efficient ways to deliver services. A recent study confirmed that nurses walk between three to six miles per day delivering patient care and performing administrative duties. Over the course of an average day, 20 to 25 percent of that time is spent searching for mobile assets, such as wheelchairs and infusion pumps. In an industry where every second can be a matter of life and death, a responsive workforce must be able to locate necessary equipment, access and enter patient information, and interact with medical applications at the point of care. Clinicians spend a significant amount of time searching for portable ultrasound equipment, X-ray systems, gurneys, or wheelchairs each day. Modern Healthcare has reported that the typical hospital cannot locate 15 to 20 percent of its assets, and time spent searching for these assets equates to US$1900 per nurse . If an infusion pump or other piece of equipment is not available, busy staff will likely rent a unit or hoard equipment instead of having to continually search for it, which results in over-provisioning of the equipment. The location-aware features of a Cisco solution virtually eliminate this occurrence, ultimately decreasing the cost of providing services. • Secure, reliable access: Healthcare facilities require a regulatory-compliant wireless network foundation that ensures patient privacy and provides secure information access and exchange. • Enhanced collaborative care: Enhanced collaboration between caregivers is essential for today’s healthcare industry. Reaching the right person the first time, collaborating with experts, and streamlining staff communications and workflow enables clinicians to increase responsiveness and patient satisfaction. • Improved patient care: Integrating appropriate information such as location and temperature into medical applications streamlines workflow processes in order to improve patient care. For today’s mobile caregivers, the point of care can be anywhere; in a hospital corridor or at home (even in a remote area of the world). Yet,until secure mobility is introduced, nurses and doctors typically can only access information from the nursing station or physician’s office, using a stationary computer with network access. Constantly going back and forth to these network connection points erodes productivity, causes fatigue, and can delay care. Cisco Mobility Solutions for Healthcare bring freedom and flexibility to enabling you to transform care delivery, increase workflow efficiency, reduce costs, and most importantly save lives. TelePharmacy , TeleCardiology and Telenursing seem to me to be the most needed with the changing demographics in North America. I also think that technology will improve access for the most marginalized members of the communities while also improving the bottom line to governments with lower costs , but more importantly a healthier general public.